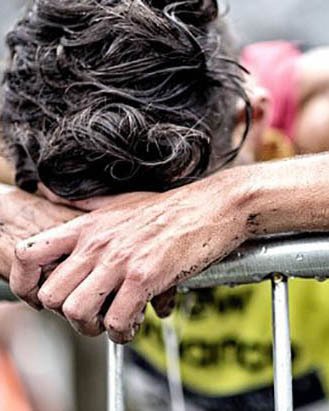 SEAA XC: Is boycotting the race the best way to bring about change? It’s the race anybody can take part in and every university wants to win. The individual success stories can be instrumental to the final team standings – though they often play second fiddle to the tribal rivalries between institutions. 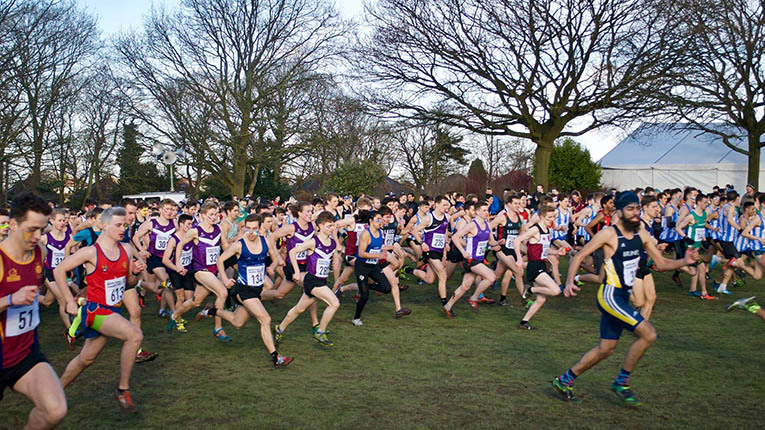 More than 2,000 undergrads, postgrads and others probably old enough to know better will line up across three races at Uxbridge, north west London tomorrow. Some will be running for the first time, others will be old hands shooting for university-best finishes. A select few will go in with ambitions of winning and leading their university home. Olly Laws, Felicity Milton and Hannah Walker are three individuals that know exactly what that winning feeling is like. It’s 2001. Tony Blair and the Labour Party are elected for a second term. Harry Potter and the Philosopher’s Stone is the highest-grossing film of the year. And Shaggy and Rikrok provide the chart-topping earworm “It Wasn’t Me”. Loughborough University’s Olly Laws also takes home the BUSA (British Universities Sports Association) Cross Country title for the first time after a slug-fest with Exeter’s Ben Tickner. Nondescript, multiple-lapped and distinctly muddy, the course in Manchester was notable only for being right next door to the velopark under construction for the following summer’s Commonwealth Games. Olly’s race was the fourth and final one of the day – in the days when there were long and short courses for both men and women. The grotesquely churned-up course became a survival of the fittest as Tickner and Laws went toe-to-toe from the get-go. ‘Ben and I knew of each other before and during the race but both of us probably expected someone else to come through,’ recalls the Shropshire man. Fast forward six years and Gordon Brown is now the PM, Rihanna is heading up the charts with “Umbrella” and the seventh and final Harry Potter book is soon to be published. But some things remain constant, namely drawn-out battles over the cross country mud. This year it was the turn of Durham’s Felicity Milton in a two-way shoot-out with Elle Vernon (née Baker). With BUSA gold there for the taking and a spot on the GB team for the World XC in Mombasa on the line, the race in Bath became Felicity’s absolute focus for the season. The warm-up panned out as usual. ‘On race day, all my body ever wanted to do was sleep, so when it came to strides they were always a real effort,’ says Felicity. Felicity had probably the best support team in the business. With her ardent supporters placed strategically around the course, there was no chance she could hide or rest on her laurels. ‘Max had strategically positioned my dad in the far corner of the course, with my mum accompanied by our lovely university sprints coach, Pete Coates, at the top of the hill before the finish. Max was in the middle of it all and at the bottom of the final climb,’ remembers Felicity. ‘I don’t remember too much until that lap when Max shouted “start shovelling”, meaning coal on the fire. Then, at the bottom of the hill, he said: “now, dig deep and burn it all”. And I did. Balancing the constant fear and vulnerability of being out in front with the confidence and will to keep driving on is something Hannah Walker knew all too well in Cardiff in 2012. It was the year Queen Elizabeth celebrated her Diamond Jubilee, Boris Johnson was re-elected London Mayor and the small matter of an Olympic Games came to town. The BUCS XC that year, renamed after the merger of the British Universities Sports Association (BUSA) and University College Sport (UCS) organisations in 2008, remains much of a blur for Hannah. The real memories are of that typical BUCS staple: the face paints, knee-length socks and coloured hair ribbons. BUCS is nothing without the face-painted warriors and it’s often this display of colour that stays fresh when the BUCS dust starts to settle. ‘It was so exciting to win, and especially to lead home the Birmingham team,’ says Hannah. The prominence of the team at BUCS is without question. More than 75 universities from across the country will be represented gamely in Uxbridge tomorrow from midday. While it nearly-always boils down to the big three – Loughborough, Birmingham and St Mary’s – each institution comes armed with its own chants and expectations. It’s this sense of togetherness and tribal camaraderie that makes the championships so unique and memorable. For Olly, who enjoyed ‘one of those rare days where everything just clicks’ when he picked up his second BUSA title in Oxford in 2003, winning the team title with Loughborough was pretty much a given. ‘We always expected to win the team title then,’ says Olly. The latest African violet men’s team victory was back in 2004. Olly, who is now the UK sales director for On Running, is one of only eight men to have won the coveted university cross country title on more than one occasion. He joins Fergus Murray, Mike Turner, Ray Smedley, Gareth Turnbull, Frank Tickner, Andy Vernon and Jonny Hay on the illustrious list. Winning the BUCS XC title is undoubtedly a significant moment in any young athletes’ career. It can be the stepping-stone to senior honours or an Everest scaled once and never repeated. Either scenario takes nothing away from the fact that to be crowned the best student distance runner in the country is an enviable achievement that stands up on any runner’s CV. It’s the FA Cup for university students, the one everybody wants to win. ‘BUCS is by far and away the biggest event on the university calendar and, as a sports scholar at Birmingham, it took on extra significance,’ says Hannah, who is now back from Florida State University and working with the sports management company, Run Fast. As with Olly and Hannah, who both look back on their BUCS experiences with a special fondness, Felicity admits that her successes that season ‘lit a readymade fire inside me for running’. After a few years living the dream at Oklahoma State University, Felicity is now nestled in the small Bavarian town of Herzogenaurach in Germany, working among creative people with a passion for sport and the outdoors for Adidas. The fact she is now combining her background in engineering and entrepreneurship, focusing on innovation with one of the biggest sports brands on the planet, is kinda cool. The unique impact that winning the university cross country championships had on Felicity can be traced back and marked out as pivotal to her running and career. ‘Running is still my love today, despite not training or racing so much,’ says Felicity. ‘I got to meet and make some of my best friends through this sport, see some incredible parts of the world. It’s my way to connect with my soul I think.